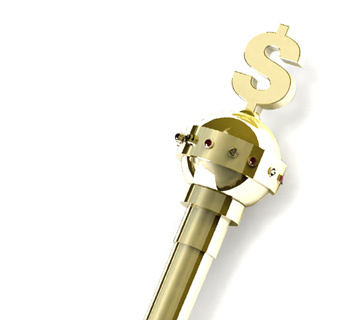 What does it mean to "change gears" while playing poker? 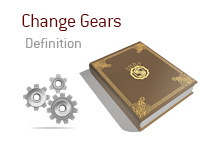 What is the definition of the term "changing gears"? In poker, to "change gears" is to change your style of play. For instance, shifting from a tight/aggressive style to a loose/aggressive style would be an example of "changing gears". Good players will change gears often in an attempt to confuse their opponents and/or adapt to the style that is being played at the table. For instance, let's say that you are typically a tight/aggressive player. You sit down at a live cash game and quickly come to the realization that everybody else at the table is also playing very tight and very aggressive. To compensate for this, you decide to "change gears" and play a different style of play. As mentioned, a good player will change their style frequently throughout the course of a game in order to confuse their opponents. For instance, let's say that you sit down at a cash game table and play extremely loose and aggressive for the first few orbits. You are running over players in every hand and getting involved in many pots. Your opponents will likely pick up on this, so changing your style would be a good way to confuse them. For instance, after playing so aggressively through two orbits, you may decide to suddenly switch gears and start playing only premium holdings. That way, opponents probably won't give you credit for strong hands and will likely get involved in pots with you with very substandard holdings. Once your opponents pick up on the fact that you have settled down, you may want to switch gears once again and start playing more loosely. Good players will confuse their opponents by switching gears often, even during the course of a single hand.